SANTA CRUZ, CA — District Attorney Bob Lee has embarked on a full frontal assault against independent media in Santa Cruz by including four regular contributors to the independent news website Indybay.org amongst the eleven people charged with multiple felonies and misdemeanors after the occupation of a vacant bank building on November 30th, 2011. District Attorney Lee apparently believes it is his duty to dictate how events such as the occupation of the vacant bank at 75 River Street should be reported on by the media, and if he does not approve of the coverage, then journalists risk the DA bringing charges against them. 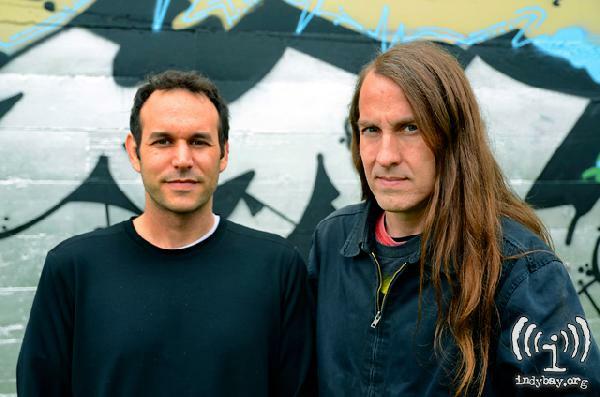 Bradley Stuart Allen and Alex Darocy are Indybay photojournalists and Indybay editors who were reporting on the occupation. No charges nor arrests were made at the time, but warrants were issued over two months later on February 8th, 2012 — for Bradley, Alex, and nine other individuals. Alex was arrested at his home before he could submit to the surprise warrant. Bradley and Alex were originally charged with felony vandalism, felony conspiracy, and two counts of misdemeanor trespass, but after a three-day preliminary hearing starting March 13th the felony vandalism charge against both was dropped. Alex and Bradley remain out of police custody on their own recognizance. On the face of it, the misdemeanor trespass charges filed against both Alex and Bradley for documenting the occupation from inside of the building seem in line with a February 8th press release from the DA which declared that the "District Attorney's Office remains committed to enforcing the law." But the DA fails to mention that his office is not committed to enforcing the law consistently and that the charges against Alex and Bradley are clearly a case of selective prosecution. District Attorney Lee knows full well that a staff photographer for the Santa Cruz Sentinel newspaper likewise shot photographs from inside of the occupied bank building, yet Lee has chosen not to file any charges against him. Why would a District Attorney pursue such a selective prosecution? Upon reading court filings and hearing statements made by the District Attorney during the preliminary hearing for Bradley and Alex, it is apparent that District Attorney Lee believes he is entitled to dictate the terms of media coverage in Santa Cruz County. In a brief filed prior to the preliminary hearing, DAs Lee and Rebekah Young wrote this about Alex's and Bradley's coverage of the occupation: "Their postings contain no interviews (or even attempted interviews) with representatives from the police, with the property owners, or with members of the community who might not have been in favor of the group's conduct." This is clearly viewpoint discrimination on the part of the District Attorney. According to Bob Lee's logic, if journalists do not interview police for a story, then somehow those journalists' rights and privileges as members of the media no longer matter. As for the most serious remaining charge, felony conspiracy, District Attorney Lee has offered absolutely no supporting evidence of a criminal collusion. The DA has not argued that Alex and Bradley had prior knowledge that the building would be occupied. The DA simply asserts that the mere act of newsgathering at an announced demonstration, which turned into an unannounced building occupation, constitutes felony conspiracy to promote trespass and vandalism. In the same preliminary hearing supplemental brief referenced above, the DA wrote: "The defendants' presence and postings... aided and abetted the organization's occupation of the property." From this, District Attorney Lee takes another leap by claiming that Bradley and Alex "effectively serv[ed] as the media arm of the organization; the group's propagandists." The "conspiracy" is nothing more than reporting on a newsworthy event. Ben Rice, who is representing Bradley, states, "As the control of 'news' is increasingly controlled by the '1 percent' we have to stop the government from deciding who or what sources may lawfully provide alternate sides to important stories. At Bradley's preliminary hearing, we presented evidence from expert witnesses that Indymedia and Bradley are legitimate news sources. We provided evidence that Bradley has been using his skill as a photojournalist for ten years to examine many of our world's most perplexing social problems. Bradley's focus on those issues is particularly important because so many of them are ignored by mainstream media. The judge's determination to keep the conspiracy charge alive should give all journalists pause." Free Alex and Bradley! Independent Media Is Not a Crime! The National Press Photographers Association (NPAA) and The Reporters Committee for Freedom of the Press (RCFP) wrote a Letter Brief addressed to the court seeking dismissal of charges. In a related joint press release, the NPAA and RCFP wrote: "This is just the most recent case where journalists have been interfered with and arrested while covering Occupy Wall Street protests throughout the country. In almost every case, those charges — ranging from disorderly conduct and obstruction of governmental administration to trespass — have been dismissed or the defendant journalists have been acquitted." So why is Bob Lee pursuing these charges, at taxpayer expense, unless to unfairly promote one journalistic viewpoint over another by deterring independent journalists from closely reporting on social justice movements as they happen. Stop the harassment and intimidation of independent journalists! Drop the charges against Bradley Stuart Allen and Alex Darocy now! Santa Cruz Indymedia has been the Independent Media Center (IMC) for the Monterey Bay Area since 2001. 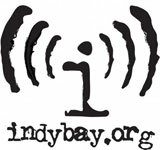 In 2006, Santa Cruz IMC became regionally integrated with Indybay.org, the website of the San Francisco Bay Area IMC, itself online since 2000. Together these Northern California IMCs are a non-commercial, democratic collective of independent media makers and media outlets serving as the local organizing unit of the global Indymedia network.